Well I may not be in Paris the day when the French team will face Portugal in the final of the Euro at Stade de France in Paris (this unfortunate absence is due to our 3 months' sojourn in Quebec which coincided with the Euro, and must mention that hardly anyone expected the French team to make it so far). But can I possibly stay far from it? Here is a list of crazy things I (and Mitra) did the day before the France-Portugal final. 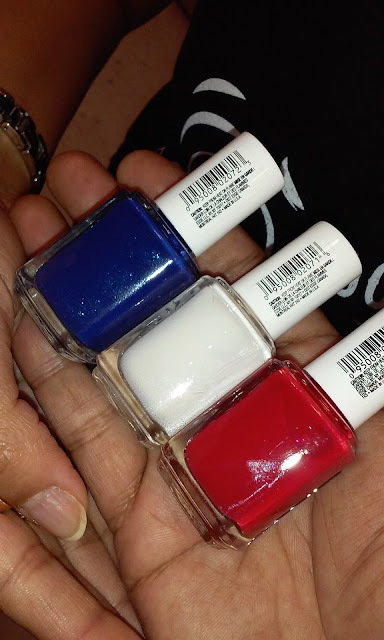 1) First the very common cliché, collecting blue, white and red nail-polishes. The day France plays in a final of a major football tournament, only 3 colors exist in the spectrum, Blue-White-Red. 2) Playing weird online football games all day, playing as France for easy games, as Portugal for tough games, playing 2 players with controls for both France and Portugal. But, by hook or by crook, making sure that France wins against Portugal. For this activity the credit goes to Mitra, who I must mention plays these weird, silly looking games almost everyday (irrespective of Euro or WC fever). 3) Collecting and eating only the blue and red Smarties. Unfortunately the packs we had here did not have white ones, but that does not matter, does it? 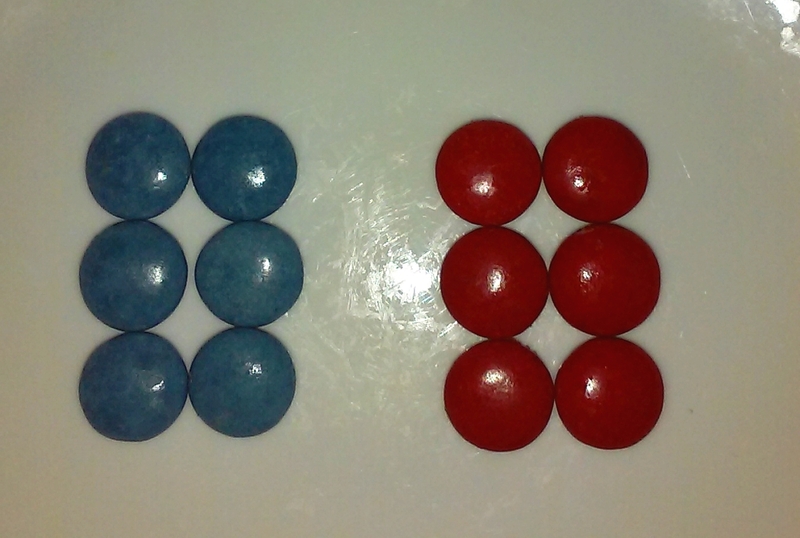 Blue-white-red may have assured a 3-0 win for France, Blue-Red may well assure a 2-0 win for the Bleus. 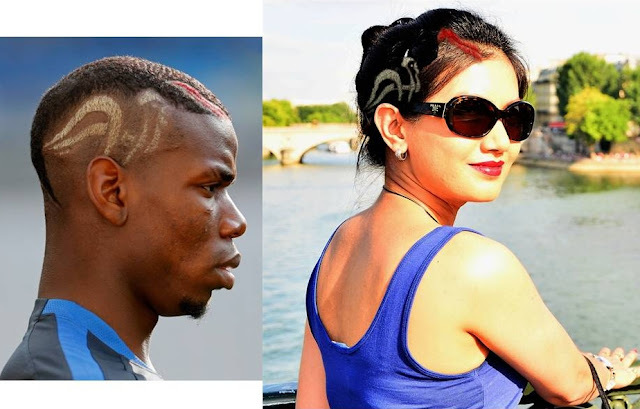 4) Using Photoshop to get a hairstyle similar to Paul Pogba. 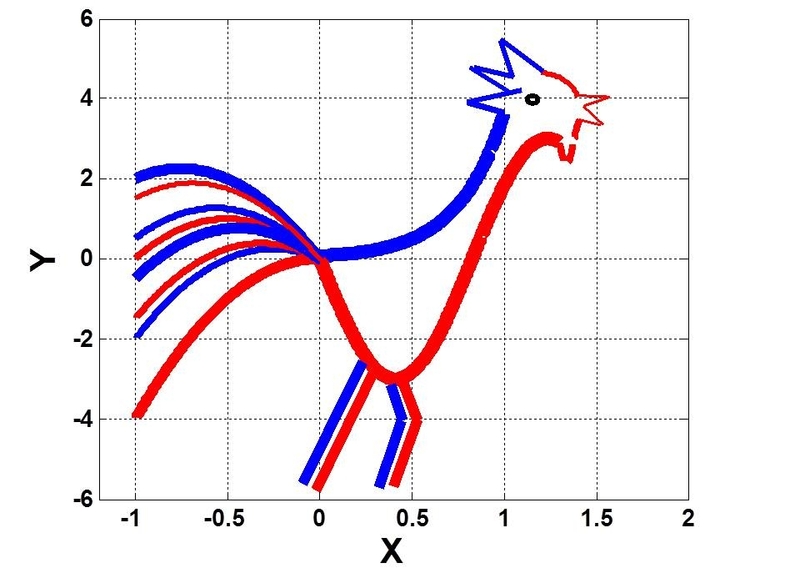 Yes its only a photoshop till now, but if Pogba scores for France in the finals I may well go out and get the rooster on my head. 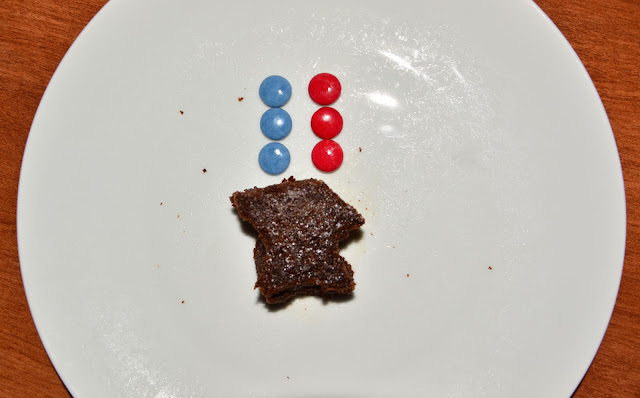 5) Baked a cake and cut pieces from it resembling France. Yes, the day France plays in a final of a major football tournament, only one shape exists, the hexagon. 6) While I was baking the cake, Mitra was busy using his scientific know-how (rather mathematical know-how) to plot the function of the French rooster in Matlab (programming language he used for plotting the curves).